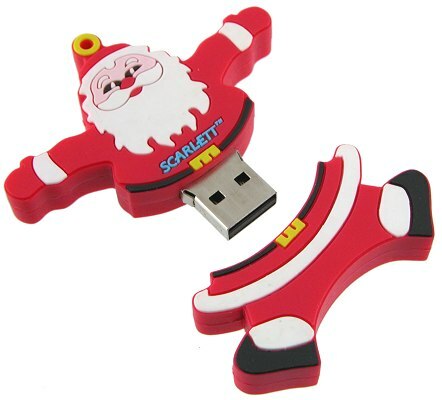 USB Santa Christmas Memory Stick Festive Novelty promotional & branded business gifts. The most useful Christmas tree decoration. Ever! 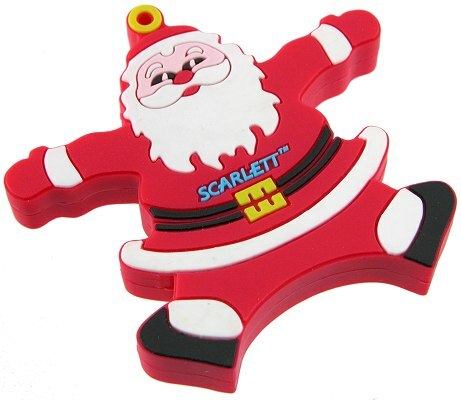 Give these festive novelty USB sticks as christmas tree decorations and you'll be popular. And if it is branded with your business name and web address your gift will continue to remind your customer of your business. A USB memory stick is so useful that it won't be discarded. It will be used continuously and since it has a Christmas theme it will remind the owner of your thoughtfulness during the festive season. Versatile too. You can load it with your own media to advertise your offering. Brochures, Power-points, Catalogue. Even a static version of your website linking to your live website to encourage sales. That way you will be sure of a happy new year. And remember, this decoration is not just for Christmas!